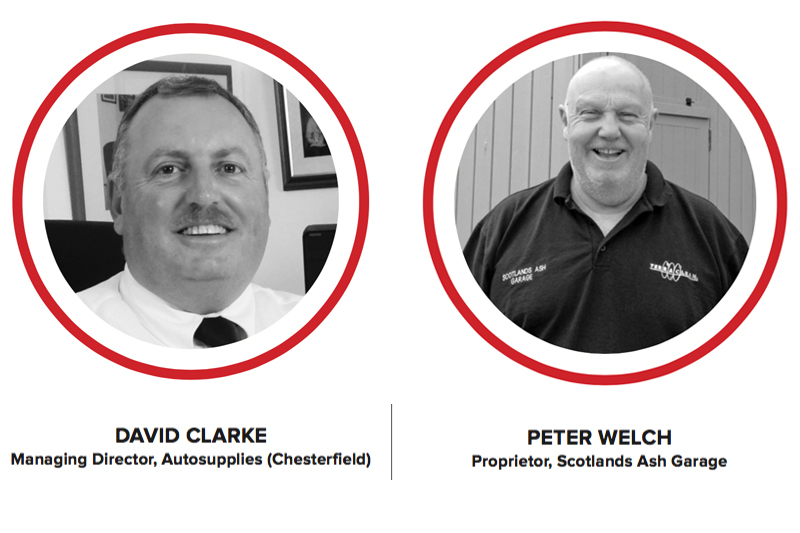 This month, Peter emphasises how important it is for factors to continue to support garages through difficult times, while David notes that quality parts and service are the key to keeping his customers’ trust. Fortunately, 2018 continued in the same vein as the previous year. We had a very good year as a factor, despite the ongoing uncertainty the aftermarket faces. Business has been growing steadily since we extended our site in Bolsover and acquired Butlers Automotive in 2017, and our new counter has been extremely popular. We’ve never lost sight of the fact that the customer is central to our business, and in 2019 that will continue to remain at the forefront of our operation. My main focus is always looking after my customers. Being able to satisfy the increasing demand placed upon our customers is one of the main reasons for our warehouse expansion and the Butlers acquisition. Customer trust is the key and further investment, both timewise and financially, needs to be given for long-term gain. Having the right stock on the shelf is the most important thing for every factor. Quality parts availability remains key for factors, in order to keep up with a garage’s constant demand. It’s all about knowing what garages need and ensuring they get it, when they need it. This extends beyond just product – we’re talking recruitment and training garages, giving them access to vital skills that address tomorrow’s technology. In 2019, there will be more consolidation of factors, as is the nature of the industry right now. We must be prepared as an independent to take advantage of any opportunities that arise. As usual, the aftermarket will adapt to the challenges with a renewed sense of purpose, and we’ll no doubt find some feasible solutions that enable us to face whatever the future is prepared to throw at us. A lot of potential aftermarket threats reared their heads in 2018, and now with the increasing complexity and uncertainty of Brexit, these major issues rage on, such as access to in-vehicle data and type approval, for example. Independent garages also need to be ready for the sweeping changes due to impact the aftermarket, including the implementation of hybrid and electric vehicle technology, and ensure we bridge the training skills gap. On that note, the key message to factors for 2019 is not to forget about us! Training is the lifeblood of any garage business, now more than ever, and we need to ensure our technicians have access to the most up-to-date training. We’re still evolving as an industry, we need to make sure the right training, support and structure is in place to meet the demands that technological advancement will throw our way in the months ahead. There isn’t really tomorrow’s technology, it’s here already! Besides providing more training opportunities, I’d be interested to find out what factors are doing to help recruit fresh talent; there is a worrying shortage of technicians and new people in the industry right now. Now is the best time to attract young blood and harness their thirst for technology, let’s bring them in to the industry and train them up. We need them alongside our experienced technicians. We also expect to face more threats from vehicle manufacturers in the coming year. New car sales are falling and so their attention is turning to the aftermarket. On one hand, they are offering us very good parts programmes, but on the other, they are looking to take the vehicles we service out of our business. The distribution aftermarket would do well to take more notice of the independent garage.